An Employee Assistance Program or EAP is an employment organized and funded a program for staff offered by many employers. 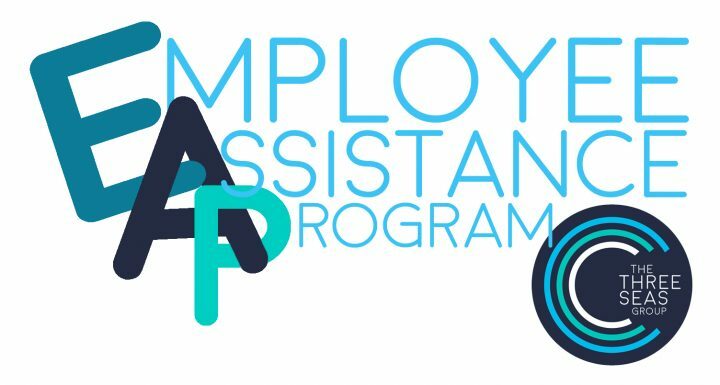 The purpose of an EAP program is to offer a free service to staff to help them deal with a personal or work-related problem that might be impacting on their job performance, their productivity at work, and health and well-being. The use of employer-funded programs that offer free short-term counselling to staff have been shown to improve workplace productivity, absenteeism, staff turnover, disability, employee morale, job satisfaction, job engagement and overall psychological well-being. These services are typically delivered face to face, however, telephone and other media sources (e.g., Teleconference, Skype) can be utilised. Dealing with the effects of company downsizing or other organisational change. Given that 1 in 5 Australian’s will suffer a mental health problem at some point in their lives and over 65% of Australians are currently active in the workforce and will spend over 1/3rd of their lives at work, a psychologically healthy and resilient workplace is imperative! Generally, an EAP program will include a component of short-term counselling (3-6 sessions) by a registered psychologist for employees. Employees typically attend the sessions alone, however, many EAPs offer the counselling service component to the employee and their household member(s) or significant other(s). At commencement of the counselling component, EAP psychologists will typically screen and undertake a thorough assessment of the employees’ psychological health. Formulation, diagnostic and treatment planning are then undertaken so that appropriate therapeutic support such as solution-focused strategies to manage the presenting issue(s), can be delivered. If required, referral pathways for alternate or ongoing support are explored. For example, after an employee has exhausted all sessions of the EAP counselling, a referral for further psychological intervention with a suitable psychologist might be undertaken if the problem is complex, chronic and not solved within 3-4 sessions. EAPs are free for employees, having been prepaid by the employer. However, if the employee required further psychological support beyond the short-term counselling funded by their organization and offered in contracts, then the employee is responsible for arranging access too and payments for treatment. The short-term counselling component of EAP is referred to as “reactive” interventions. That is, when an employee is struggling to manage symptoms of stress or other psychological problems, they contact their EAP provider to book an appointment. Proactive interventions can also be a component of a workplace EAP. However, these are typically less common. Proactive interventions aim to improve organizational health and well-being before the problems arise via psycho-education, assessment, training, coaching and evaluation. Health and well-being workshops and other tailored programs for staff targeting job stress, mental health first aid, resilience and engagement. Consistent research demonstrates higher efficacy in the combined use of reactive and proactive interventions in an EAP program than the reactive interventions alone. Employees feel more comfortable going outside of their workplace setting to seek and deal with personal problems. Reduced likelihood of exposure (e.g., from colleagues) when accessing the EAP services. Reduced likelihood of dual relationships (e.g., your work colleague that you see in the staff room is also your treating psychologist). The immediacy of accessing the services can be easier (e.g., same day appointments). The psychologist may have a better understanding of the workplace culture and typical workplace issues. EAPs with The Three Seas are not limited to short-term counselling (reactive intervention). We also offer a variety of services that are proactive and which aim to improve organizational health and well-being before the problems arise via thorough workplace well-being assessments, tailored intervention programming with psycho-education, workshops, leadership coaching and 360 degree feedback/evaluations. Employees can call our practice directly to make an appointment and they can be assured that their anonymity and confidentiality is maintained, We provide monthly reports to employers (using de-identified information) so that employers are able to monitor the effectiveness of the program and the types of issues that their employees are facing. Six and twelve monthly evaluations and reviews are provided so that the program can be further tailored to the needs of the organization. At The Three Seas, we pride ourselves on providing immediate and accessible psychological services. We offer appointments in all of our three locations across Melbourne: CBD, Richmond and Knox. We also offer on-site services for employees who are unable to access our practice sites. Our psychologists are available in both normal office hours and after-hours and Monday to Saturday 8.30am-8.30pm, Saturdays 9am-5pm. We have same day appointments available and no longer than 48 hours of calling the practice would an employee need to wait to see one of our psychologists. We are currently the external provider for small and several large organisations in Victoria. If you would like to talk to us further about EAP’s with us, please do not hesitate to call us on 9809-1000.